Is HTA3D a safe online shop? All the orders made at www.hta3d.com are completely safe. All operations involving the transmission of personal or bankinh data are performed using a server with standar SSL (Secure Socked Layer). All the information you giives us will be transmitted encryted through the network. In addition, the credit card data will be registered in our database, but will be processed directly by the RedSys Point Of Sale Terminal (POS), or PayPal in the case. How does the online purchase process work? We recommend registering an account, so you can check the transaction history, the products bought in each purchase, save your addresses, etc. Registering as a client, you will be able to make your next purchase just by writing your email and password. Enter here your data so we can contact you and send your purchase. The fields marked with * are mandatory. If you are a company or self-employed, don't forget to data in payment address. In this step you must introduce the necessary data to ship your order. You will be able to choose the shipping method according to the destination. To some destinations there are more than one option. Credit card: safe payment through Redsys (2% discount). PayPal: safe payment through PayPal (8€ + VAT minimum order). Bank transfer: you can do it through your bank (2% discount). Here you can find the products added. In addition, the breakdown: subtotal, shipping, discounts, VA and total. You can add any comment, as for example, in order to facilitate the delivery the schedule if the order is for a shop. We recommend to read them carefully and check the corresponding box. You will be sent to the payment gateway payment, and once introduced the payment data, the confirmation that the order has been processed correctly will be shown. You will receive and confirmation email and the sumary of your purchase. At the moment your purchase leaves our premises you will receive an email with the tracking information, so you can know the state of the shipping any moment. How long will it take to my purchase to arrive? We don't like making you wait, and we know how important is to receive your purchase on time, so we process every order in order of arrival. The majority of the orders are processed within 24 hours or less, according to the order queue. The orders with custom products may need an additional handling time as stated in every product description. To España and Portugal mainland the courier agency is ASM, and the pickup is done daily between 4-5 pm. To Europe we use registered mail and courier agencies, depending on the weight. 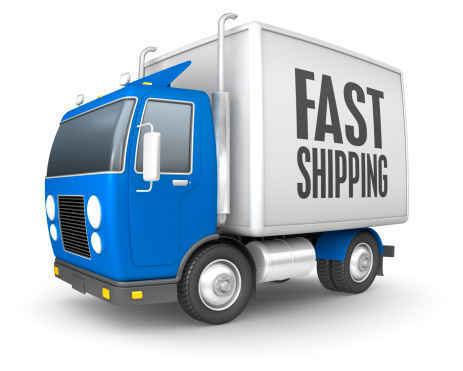 The courier agencies usually make the pickup within 24 hours after processing the order. To EEUU and Canada, we offer registered mail and a faster shipping. To other destinations we use registered mail. If you can't place an order from your country, please, contac us using the contact form or to the email: info@hta3d.com. Once the order is sent, in the most of the cases the delivery will take place in the estimated delivery date given with the tracking number. We issue and invoice for each purchase made, please, make sure you have introduced correctly the VAT number in your payment address, as well as the company name (or your name if you are a self-employed). You will receive a printed invoice with your purchase. We will answer within the first 24 working hours. Please, don't forget to indicate the order ID so we can know your kit configuration. Can I place the order at the store? We are an online shop and we only accept orders placed on our web which would be shipped. We procced the purchases by entry order. To ensure this and that they are processed as soon as possible we can not accept purchases made at the shop which jump the preparation queue. With regards to returns, we only accept returns of products sent by courier service or post office with tracking. Can I modify the invoice? We are sorry, but we can not make modifications of the invoice once it has been issued. Please, complete your user data with the data you need to appear on the invoice: Name/Company name, ID/VAT number and address; as our system generates the invoices with the data provided by the customer. If there is any mistake, please, contact us as soon as possible. We are sorry, but orders can not be modified after been placed. If you want make a return or exchange, please, contact us through the contact form once you hace received your order and we will indicate the steps to follow. In this case click here and fill the form, or you can write us to the email published at "Contact". We will answer your question within the first 24 working hours. Please, check your email to read our answer (also the unwanted folder).